“We need to draw some blood again,” the nurse from the clinic said. “When should I come?” Carla asked, planning her hectic day. She remembers looking up at the clock on the wall. A half-pound steak of salmon was warming in her shopping basket, threatening to spoil if she left it out too long. In the long, bare hall outside Carla’s room, in the antiseptic gleam of the floor just mopped with diluted bleach, I ran through the list of tests that would be needed on her blood and mentally rehearsed the conversation I would have with her. There was, I noted ruefully, something rehearsed and robotic even about my sympathy. This was the tenth month of my “fellowship” in oncology—a two-year immersive medical program to train cancer specialists—and I felt as if I had gravitated to my lowest point. In those ten indescribably poignant and difficult months, dozens of patients in my care had died. I felt I was slowly becoming inured to the deaths and the desolation—vaccinated against the constant emotional brunt. But as I emerged from the strange desolation of those two fellowship years, the questions about the larger story of cancer emerged with urgency: How old is cancer? What are the roots of our battle against this disease? Or, as patients often asked me: Where are we in the “war” on cancer? How did we get here? Is there an end? Can this war even be won? This book grew out of the attempt to answer these questions. I delved into the history of cancer to give shape to the shape-shifting illness that I was confronting. I used the past to explain the present. The isolation and rage of a thirty-six-year-old woman with stage III breast cancer had ancient echoes in Atossa, the Persian queen who swaddled her diseased breast in cloth to hide it and then, in a fit of nihilistic and prescient fury, possibly had a slave cut it off with a knife. A patient’s desire to amputate her stomach, ridden with cancer—“sparing nothing,” as she put it to me—carried the memory of the perfection-obsessed nineteenth-century surgeon William Halsted, who had chiseled away at cancer with larger and more disfiguring surgeries, all in the hopes that cutting more would mean curing more. How, precisely, a future generation might learn to separate the entwined strands of normal growth from malignant growth remains a mystery. (“The universe,” the twentieth-century biologist J. B. S. Haldane liked to say, “is not only queerer than we suppose, but queerer than we can suppose”—and so is the trajectory of science.) But this much is certain: the story, however it plays out, will contain indelible kernels of the past. It will be a story of inventiveness, resilience, and perseverance against what one writer called the most “relentless and insidious enemy” among human diseases. But it will also be a story of hubris, arrogance, paternalism, misperception, false hope, and hype, all leveraged against an illness that was just three decades ago widely touted as being “curable” within a few years. In the bare hospital room ventilated by sterilized air, Carla was fighting her own war on cancer. When I arrived, she was sitting with peculiar calm on her bed, a schoolteacher jotting notes. (“But what notes?” she would later recall. “I just wrote and rewrote the same thoughts.”) Her mother, red-eyed and tearful, just off an overnight flight, burst into the room and then sat silently in a chair by the window, rocking forcefully. The din of activity around Carla had become almost a blur: nurses shuttling fluids in and out, interns donning masks and gowns, antibiotics being hung on IV poles to be dripped into her veins. This reading group guide for The Emperor of All Maladies includes an introduction, discussion questions, and ideas for enhancing your book club. The suggested questions are intended to help your reading group find new and interesting angles and topics for your discussion. We hope that these ideas will enrich your conversation and increase your enjoyment of the book. 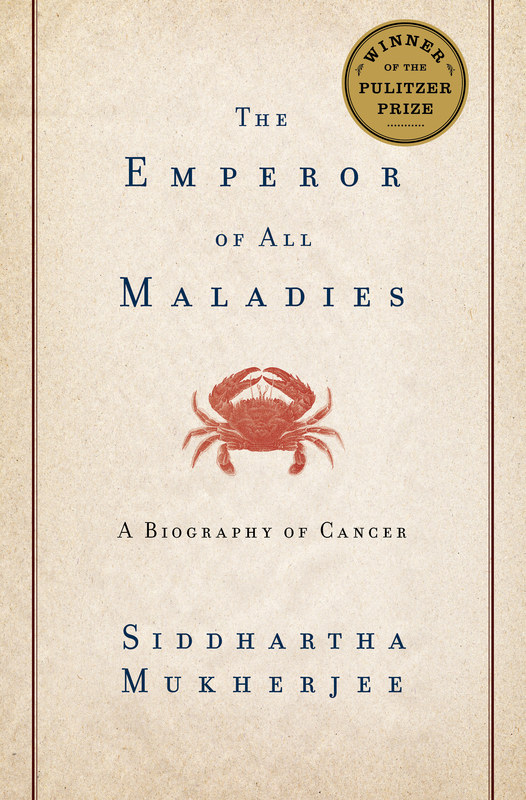 In The Emperor of All Maladies, Siddhartha Mukherjee offers a sweeping and erudite history of cancer—from its earliest incarnations in ancient texts up to recent and long-awaited breakthroughs in treatment. Populated by captivating characters, from the Persian Queen Atossa, who instructed her servant to cut out a malignant tumor in her breast, to Sidney Farber, whose tireless research into children’s leukemia ushered in the modern era of cancer research, and written in Mukherjee’s artful prose, The Emperor of All Maladies reads like a thrilling novel, with scientific triumphs and setbacks, personal rivalries and alliances. But set against the backdrop of changing politics and social values, it is also a history of human civilization seen through the prism of cancer, the world’s most pervasive, tenacious disease. 1. Cancer is often described as a “modern” disease—yet its first description dates from 2500 B.C. In what sense, then, is cancer a disease of modern times? How does knowing its ancient history affect your notion of cancer? 2. Mukherjee frames the book around the story of his patient, Carla Reed, a teacher who is diagnosed with leukemia. What did you find interesting or important about Carla’s experience? How do you think she shaped the author’s life and thoughts? 3. Mukherjee writes how in the early 1950s The New York Times refused to print the word “cancer” (or “breast”). Compare this to how we view cancer today. Is there any difference in the way you discuss cancer as a political or news topic and how you discuss a cancer diagnosis among family and friends? 4. Looked at one way, Sidney Farber’s early clinical trials with antifolates in 1947 and 1948 were a failure, with all of his young leukemia patients eventually dying of the disease. But with the results of these trials, Mukherjee writes, Farber “saw a door open—briefly, seductively” (p. 36). How so? Why do Farber’s trials mark a turning point in the history of cancer research? 5. “The stories of my patients consumed me, and the decisions that I made haunted me,” Mukherjee says about working in a cancer clinic (p. 5). But in the 1970s, during the height of aggressive combination chemotherapy trials, Mukherjee paints a different picture of doctor-patient interaction: “The language of suffering had parted, with the ‘smiling oncologist’ on one side and his patients on the other.” How have the relationships between doctors and patients evolved along with cancer treatments? What could be done to restore some of the lapses in this relationship? 6. “‘Li was accused of experimenting on people,’ Freireich said. ‘But of course all of us were experimenting… To not experiment would mean to follow the old rules—to do absolutely nothing.’” Review the case of Min Chiu Li (pp. 135-138), and explain Emil Freireich’s quote. Do you think Li’s actions were ethical? How can doctors and scientists draw the line between reckless, unproven treatment and necessary experimentation for drug development? 7. How did Mary Lasker borrow from the worlds of business, advertising and even the military to build a nationwide effort to combat cancer? How might Lasker’s vision be invoked today to generate funding and national attention for breast or ovarian cancer? 8. So many of the scientific breakthroughs that impacted cancer research, such as Wilhelm Röntgen’s discovery of the X-Ray in 1895, occurred by accident. What other “chance” discoveries appear in the text? 9. Numerous advances in cancer research would have been impossible without patients willing to submit themselves to grueling experimental trials—experiences from which they did not benefit, but future cancer patients might. How would you counsel a friend or relative about submitting themselves to such experiments? 10. How is the early history of chemotherapy linked to the histories of colonialism, the Industrial Revolution, and World War Two? 11. Was the War on Cancer a failure? Why or why not? 12. How did the tobacco industry react to studies in the 1950s about the link between cigarettes and lung cancer? How did the industry’s reaction differ to that of the general public? Do you think cigarette companies should be legally liable for cancer and other health problems likely caused by smoking? 13. The 1980 Canadian mammography trial (see pp. 298-300) was possibly flawed because technicians disproportionately steered women with suspected breast cancer to get mammograms, likely out of compassion. Put yourself in the technicians’ shoes. Would you have allocated your friend to the mammogram group? If so, how can trials ever be randomized? Should a trial with a promising new drug be randomized—even if it means forcing some patients to be in the non-treatment group? What if a new treatment emerges for a deadly form of cancer? Should half the enrollees in the trial be forced to take sugar-pills to document the efficacy of the treatment? 15. Review the case of Nelene Fox (pp. 322-324), whose HMO, Health Net, refused in 1991 to pay for an expensive bone marrow transplant to treat her diagnosis of advances breast cancer, citing the procedure as “investigational.” In your view, was it appropriate for Health Net to refuse reimbursement? Should patients pay for expensive experimental treatments out of their own pocket? What if these experimental treatments turn out not to extend survival—as with Fox’s transplant? 16. The author says that he was motivated to write this book after a patient asked him, “What is cancer?” Mukherjee could not think of a book that would answer her question. So he wrote it. Does “knowing your enemy”—knowing cancer—bring some kind of comfort? 17. 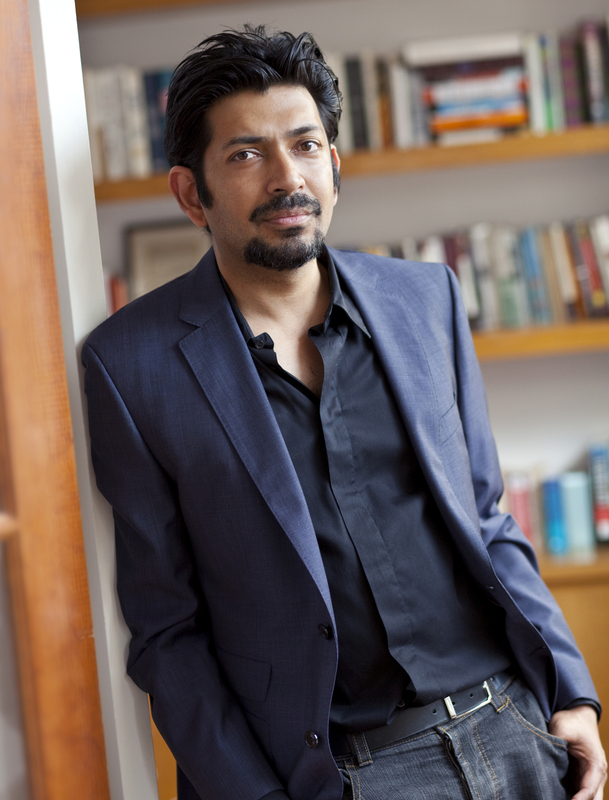 On page 459, Mukherjee writes, “As the fraction of those affected by cancer creeps inexorably in some nations from one in four to one in three to one in two, cancer, will indeed, be the normal—an inevitability.” Mukherjee makes this assessment despite the approval of oncogene-targeting drugs like Herceptin, which have given new hope to cancer patients, as well as promising efforts to sequence the cancer genome. At the end of The Emperor of All Maladies, do you come away with optimism about science’s efforts to combat cancer? Why or why not? 18. In the final chapter of the book, Mukherjee creates a fictional journey for Queen Atossa through time to demonstrate how cancer treatment has changed over the centuries. How might you have summarized this book? What image, or metaphor, emerges most powerfully at the end of this book? 19. Germaine Berne’s story, which ends the book, is not superficially a story of hope, since she ultimately dies from relapsed cancer. Yet Mukherjee portrays her as a symbol of our war on cancer. In what sense does Germaine epitomize the battle against cancer? How is her story a story of hope? 20. Mukherjee calls this book a “biography.” Can a “biography” be written of an illness? How might such a biography differ from the traditional biography of an individual? Are there other diseases that demand biographies, or is this project unique to cancer? 21. In what sense does history “repeat itself” in cancer research? In science, where new discoveries keep altering the landscape, what is the worth of reliving the past? 1. Learn about cancer prevention. Before your book club meeting, have each member choose a type of cancer to research and prepare a brief presentation about warning signs and prevention. Learn more on the website for the American Cancer Society: http://www.cancer.org/Cancer/index. 2. Prepare for your next doctor appointment. In today’s health care system, patients often complain about doctors spending too little time with them or providing unsatisfactory explanations of medical conditions. Make a list of facts you learned from The Emperor of All Maladies with practical implications for your own healthcare, or questions that the book provoked. Discuss what you learned as a group, and then, during your next appointment, ask you doctor to clarify any topics you found unclear or confusing. 3. Get involved. The Emperor of All Maladies mentions several cancer charity organizations, such as The Jimmy Fund and St. Jude’s Children’s Research Hospital. Research local cancer charities in your area, and find out how you can donate time or money to their cause. 4. Read science news: The Emperor of All Maladies describes powerful stories that directly affect our lives: mammography, breast cancer treatment, cervical cancer prevention. Read updates on these in The New York Times, or other newspapers, and bring stories to the book club meeting to discuss.